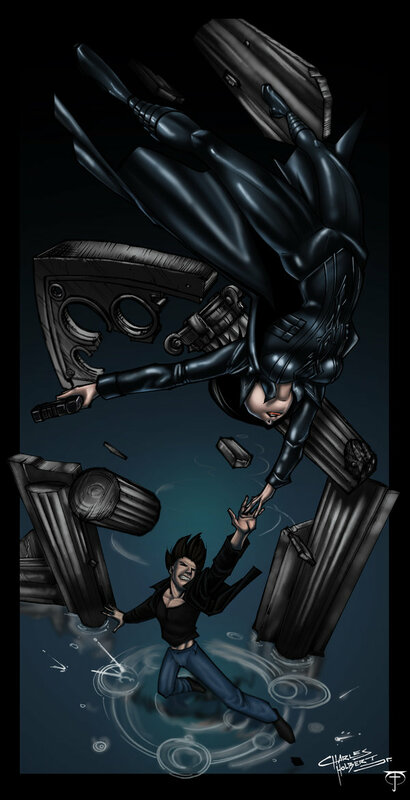 Michael and Selene. . HD Wallpaper and background images in the Underworld club tagged: underworld michael corvin vampire lycan hybrid selene. This Underworld fan art might contain anime, bande dessinée, manga, and dessin animé.